Apparently I’ve been granted a Versatile Blogger award, which sounds suspiciously like something a blogger like me (ie severely lacking in readers, impact and lucrative corporate sponsorships) would invent to boost her profile. The only reason I even found out about it was because the Versatile Blogger who nominated me sent a message letting me know–kind of like when the Nobel committee wakes up its prize winners with an early morning call from Stockholm. Then I had to Google “Versatile Blogger award” to find out what it was. I’m still not sure. My friend Annie described it, astutely, as “a chain letter for bloggers.” High praise indeed. But far be it for me to unvarnish a compliment, no matter how dodgy in origin. It’s sort of like believing in Santa Claus, or God: if you dismiss the concept outright, there’s no chance it will benefit you. But if you’re only skeptical, then you’re hedging your bets. You might in fact receive that new bike–or 10,000 daily hits–you’ve been dreaming of. There are, I’ve learned, certain obligations that come with an honor such as this. First and foremost, I must express my gratitude to the wise and discriminating blogger who selected me: thank you, Lisa Tognola, author of the incisively funny mainstreetmusings.com. I’m also supposed to bestow the “Versy” (as it’s known among us insiders) on other bloggers I admire. Many of these have no doubt won awards far more noteworthy, but you can’t help who you love. Lastly, I’m supposed to divulge seven random facts about myself. Well, how versatile a blogger would I be if I gave it to you all in one post? If you want scoop, read the blog. It’s award-winning, you know. 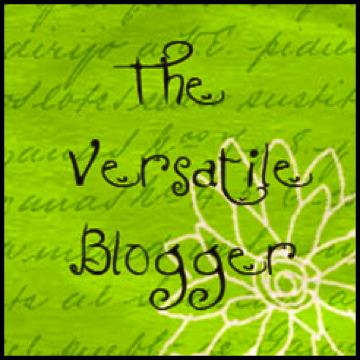 This entry was posted in Blogging, Reality check and tagged Versatile Blogger award. Bookmark the permalink. I am going to surf the other sites, too, Sue and see what I have been missing. Congrats!! Congratulations Sue! I love your posts. Congratulations and much deserved! And thanks for mentioning my blog. I’m honored!